First edition. With contributions by Louisa D. Bartlett. 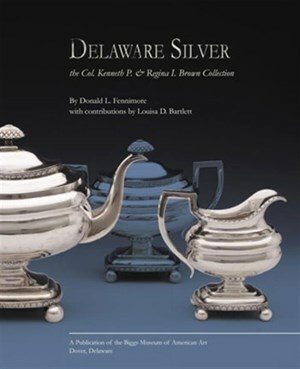 Table of contents, foreword by Karol A. Schmiegel and Linda A. K. Danko, acknowledgments by the author, biographical sketches of known Delaware silver smiths, select bibliography. Color illustrations throughout.